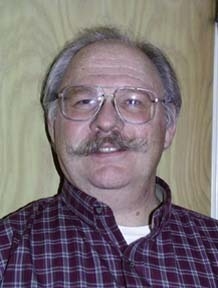 Rabbit Radio Network, lead by Emmett, WA6COT is made up of Licensed radio amateurs interested in the camaraderie of friendly hams using 7 UHF inter-linked sites in Southern California. Rabbit Radio is a long time affiliate of the Cactus Radio Club and provides link ports to the Cactus Intertie System. New members are considered when recommended by existing members. Operational costs and system maintenance are supported by Rabbit members . Most of the equipment used is made by General Electric, and all but one of the site controllers are designed by WA6COT. All sites have emergency power and in the case of a disaster we will serve the community first. Each radio site can be used independently or connected together as in a party-line using fully duplexed links. All Rabbit members are considered control operators and each can configure the sites as wanted from any location. The normal configuration is on-line to the Rabbit Network only, but linking to the Cactus Intertie may be accomplished when desired. 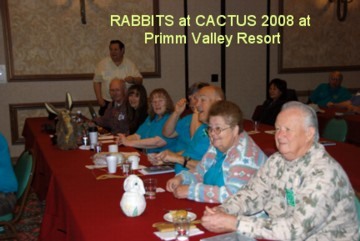 Cactus members and affiliates are welcome to use the Rabbit system on an itinerant basis. Several of the sites have local area auto-patches for members use.